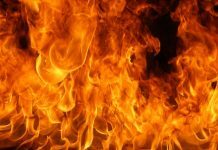 In a major breakthrough, Punjab Police has traced the grenade attack on Nirankari Satsang Bhawan in Amritsar to ISI-backed Khalistani forces in Pakistan, by arresting one of the two perpetrators of the attack in less than 72 hours after three persons were killed and 15 injured in the terror act. 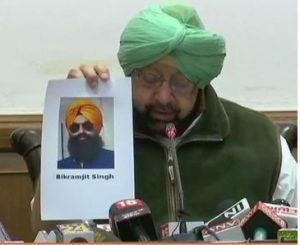 Announcing this here on Wednesday, Chief Minister Captain Amarinder Singh disclosed that the suspect, Bikramjit Singh @ Bikram (26 years) s/o Sukhwinder Singh r/o Dhariwal village (PS Rajasansi) was arrested early this morning from near Loharka village. Bikram, an operative of Khalistan Liberation Force (KLF), has given significant information indicating that the grenade was provided to the assailants by one Happy in Pakistan. Happy is suspected to be the Pak based KLF Chief, Harmeet Singh Happy @ Ph.D, who had earlier masterminded the conspiracy to carry out the targeted killings of RSS/Shiv Sena/DSS leaders and workers (and a Christian Pastor) in Ludhiana and Jalandhar in 2016-2017, in active collaboration with Pakistani establishment and the ISI. The Chief Minister categorically ruled out any religious motivation behind the attack and described Sunday’s attack on Nirankari Bhawan as yet another attempt by Pak ISI and Pak establishment to carry out terrorist actions in Punjab to disturb the peace in the State. It was in ISI’s interest to keep the border disturbed to ensure internal peace in Pakistan, said Capt Amarinder. Attempts by Pak ISI and Pak establishment to forge linkages between Punjabi and Kashmiri terrorist groups is a matter of serious security concern for Punjab, said the Chief Minister, adding that the State police was working closely with central agencies to check the spread of such forces. 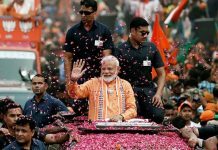 His government was committed to ensuring that nobody was allowed to disturb the state’s hard-earned peace and harmony, he asserted. The Chief Minister pointed out that there had been only two terror attacks in the State in 2018, including the Maqsudan PS attack and Sunday’s incident, and both had been successfully solved by the police, who had also cracked all the cases of targeted killings. The sacrilege cases that had taken place in the last 18 months had also been solved. Giving details, the Chief Minister said that preliminary investigations and CCTV footage of the incident had led to the arrest of Bikram, who has identified his accomplice as Avtar Singh Khalsa (32 years) s/o Gurdial Singh, r/o village Chak Mishri Khan, Lopoke (Ajnala), Amritsar. Giving further details, Punjab DGP Suresh Arora said Bikram was riding a motorbike (TVS PB-18 M- 7032) at the time of his arrest. Bikram’s black Bajaj Pulsar motorcycle (PB-02-BF9488), which he has used in the attack, has also been recovered. Bikramjit Singh has disclosed that Avtar Singh called him up late on the night of 3rd November and asked him to be ready for an assignment the next morning. 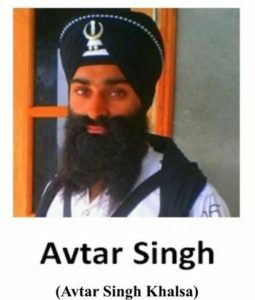 Around 4.30 am that day, Avtar reached Bikram’s house and both set off on Bikram’s Bajaj Pulsar motorcycle to retrieve the hand grenade from an Orchard located at a distance of about 1 km on Majitha-Hariyan link road. They retrieved the HE 84 hand grenade, which had been buried in a half feet deep pit under a Shisham tree. According to Bikram’s initial questioning, the recee of Nirankari Satsang Bhawan was carried out on the morning of 13th November when no one was present at the premises. 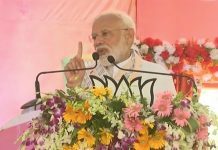 During the recee, the two conspirators especially checked out the locations of CCTV cameras enroute, the layout plan of the Bhawan and the distance from the main gate on the boundary wall of the Bhawan to the Satsang Bhawan building. 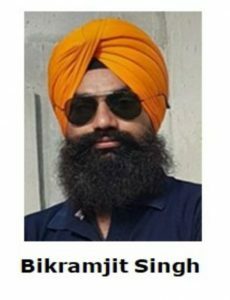 Bikramjit has further disclosed that as decided on 16th November, Bikram reached the house of Avtar Singh at Chak Mishri Khan village on his black Bajaj Pulsar motorcycle at about 9 am, where they removed the number plate of the motorcycle. They started for village Adliwal at about 9.30 am and covered their faces on the way, near village Manawala. They waited in the area for the crowd to congregate at the Satsang Bhawan. Both of them were armed with pistols at that time. Bikram has further revealed that while Avtar successfully slinked into the Satsang Bhawan complex through the open gate, along with the sangat which had just reached there, he himself managed to subdue and take control, at gunpoint, of the two sewadars who had been deployed at the 2 gate-posts of the Satsang Bhawan complex. 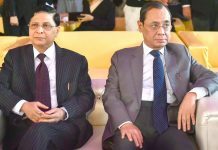 After hurling the grenade, both of them fled on Bikram’s mobike and reached Avtar’s village around 12 noon, where Avtar took back the Pistol from Bikram. After changing his cloths and appearance, Bikram drove back to his village on his black Bajaj Pulsar motorcycle. According to Bikramjit, Avtar Singh was in touch with one Happy in Pakistan, who had got the hand grenade dumped near the Orchard near Majitha through some of his other associate(s). Bikram has revealed that the geo-location details as well as pictures of the dump location were sent to Avtar on his mobile to facilitate the retrieval of the hand grenade. ​It may mentioned that Punjab Police had earlier recovered 5 such hand grenades, as part of a huge consignment comprising AK 47 Rifle (1), MP 9 Rifle (1), Pistols (7), which had been sent by BKI and ISYF Rode across the Indo-Pak border and recovered the from the terrorist module of Sher Singh- Mann Singh on 21st May 2017. ​It has been learnt that HG 84 hand grenade is produced by Arges of Austria, and also manufactured in Pakistan Ordnance Factories (POF) of Pakistan (as the “84-P2A1”). Such grenades are commonly used by the Armies of Pakistan, Afghanistan and Austria. HG 84 is a destructive type of grenade, which causes fragmentation after the explosion and has effective range of 30 meter radius. These are mainly used to attack and kill a gathering of persons. Such grenades have been used in J&K in the past. Since March 2017, Punjab Police has busted 17 terror modules and arrested 81 militants, thereby preventing a large number of terrorist actions in the State. The State Police has seized 77 weapons from these terrorists, including very sophisticated automatic weapons, RDX/other explosives, as well as 12 hand grenades. 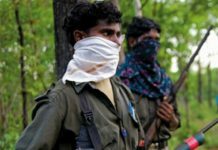 ​Since March 2017, at-least 3 arms consignments, pushed into Punjab by Pak ISI in collaboration with Chiefs of different Pak based Sikh militant outfits, such as International Sikh Youth Federation (ISYF), Khalistan ZindabadForce (KZF), Khalistan Liberation Force (KLF), have been recovered by the Punjab Police. These consignments consisted of AK-47 Rifles (5), MP 9 Rifle (1), Pistols (10), hand-grenades (11). An FIR no. 121 dated 18.11.2018 u/s 302, 307, 341, 452, 427 IPC, 25 Arms Act, 3/4/5/6 Explosive Substances Act, 13 UAPA, has been registered at PS Rajasansi in the Sunday attack case. Further investigations are in progress. Chief Minister Capt. Amarinder Singh.